Mojitos are my favorite cocktail. 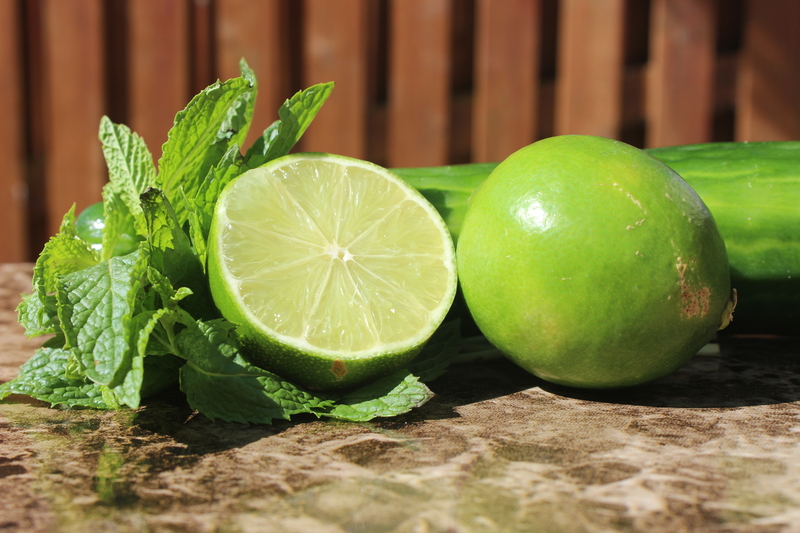 The combo of tart lime and smooth mint is so cooling and refreshing and perfect for summer! I remember my first mojito experience. I had just come home from a semester abroad in Granada, Spain and was really into everything about the Hispanic culture from the food to the music and dancing. I loved their energy, vitality and enthusiasm for life! When my friend Allyson invited me to go with her and some friends to The Latin Palace in Fells Point shortly after returning from my trip, I was all in. I had a blast as I was led through all sorts of Latin dances for hours! When it was time to take a break from dancing, I was introduced to what would become my favorite mixed drink – mojitos. It’s been almost 10 years, and I still don’t think I’ve had a mojito that was as perfectly prepared as my first. As I was looking for recipes to prepare today for a Memorial Day cookout, I stumbled across this one for a minty watermelon mojito salad. 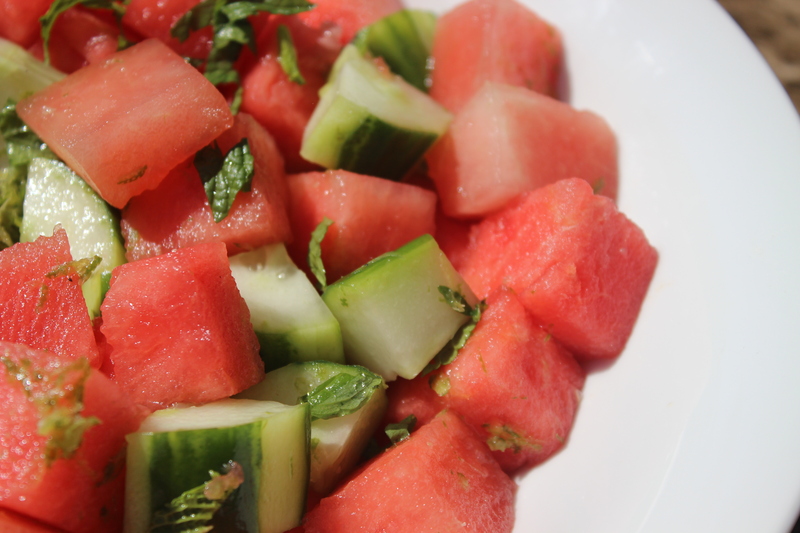 Watermelon + mint + lime + cucumber = the ultimate warm weather refresher. It’s DELICIOUS and was really simple to prepare, too. This will be a hit at any cookout, picnic or party, and I guarantee kids will love it, too! Click here for the full recipe from one of my new favorite blogs – Stupid Easy Paleo! Thank you to all of the men and women who selflessly serve our country, especially our friend, Joe, who recently left for a multi-year tour in Germany!